By David Cawthon of Missouri Life Magazine. The economic impact from the Lake of the Ozarks ripples throughout the surrounding communities. Historically, the communities within Benton, Camden, Miller, and Morgan Counties have been tied to the ebb and flow of tourism and its related industries at the lake. But more than 83 years ago, the Lake of the Ozarks didn’t exist. 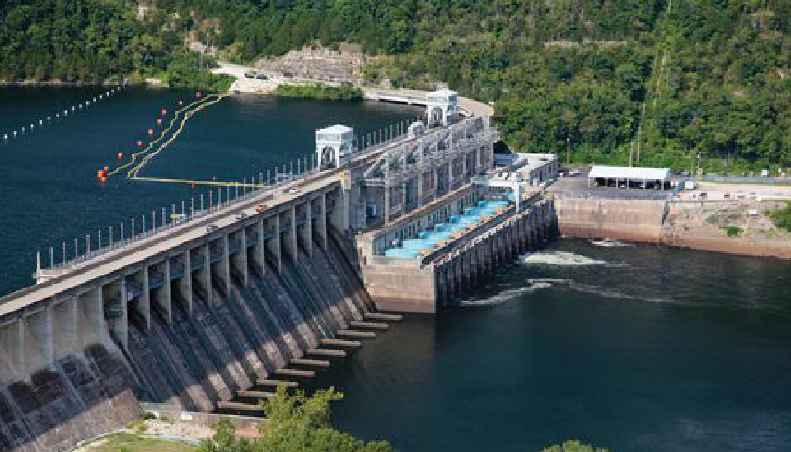 Union Electric Company, the company that would become Ameren, completed the Bagnell Dam project in 1931, which created the “Missouri Dragon,” a snaking lake with 1,150 miles of shoreline. The energy company still owns the lake. With the formation of the lake, tourism became a major attraction and continued to grow throughout the decades, though its economic impact extends beyond the shoreline today. Bagnell Dam. Courtesy of the Lake of the Ozarks CVB. Jacobsen says that tourism has fueled the creation of the area’s new amenities that resulted from a surge of second homeowners. He says this trend can be traced back to the 1980s when an influx of condominiums were built as more people, mostly retirees, sought to relocate or construct a second home there. Jacobsen estimates that the number of retirees has increased from 5 percent to 20 percent over three decades. Additionally, Jacobsen says that historically about 75 percent of the millions of visitors were families. Today, more than 75 percent are couples without children, and they aren’t just there for a weekend getaway. This increase is creating economic opportunities on the water, too, most notably for the more than 60 waterfront restaurants out of the area’s 200 eateries. “All of the support businesses and the functions that go to support those folks are becoming more prominent as the region develops,” says Corey ten Bensel, president of Lake of the Ozarks Regional Economic Development Council, which formed in 2003. The regional economic body was created when leaders noticed that they were missing out on potential economic opportunities. Collaboration has been a major economic strategy for the five area chambers of commerce: Camdenton, Lake West, Eldon, Versailles, and Lake Area. All work together to ensure that efforts are not duplicated. 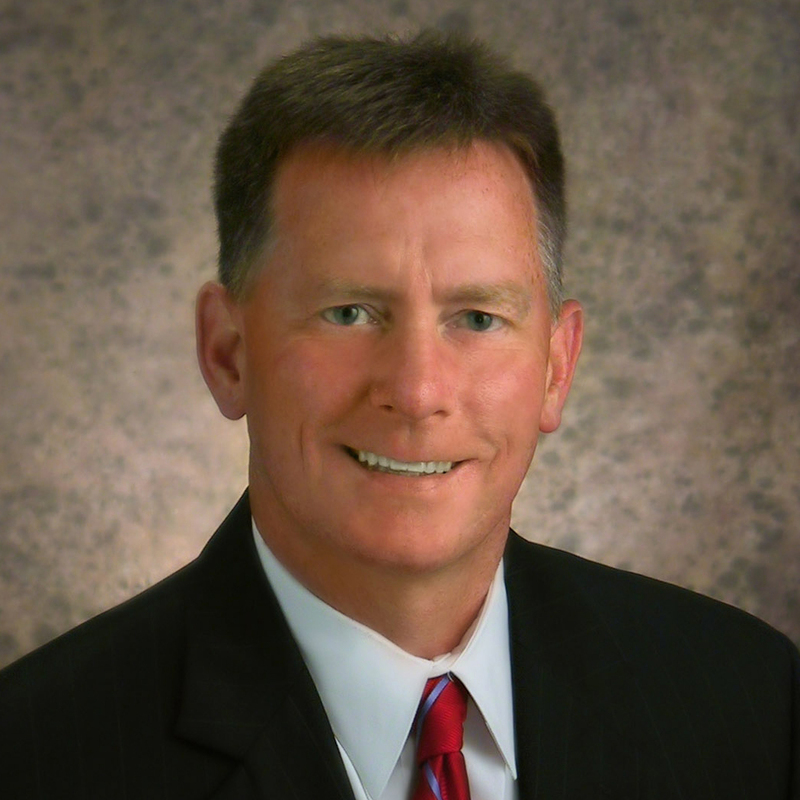 As most economic trends in the area are connected, so are the people involved in those efforts. When it began, most of those on the economic development council were from those five chambers. which is often credited as the genesis of the area’s retail surge. Courtesy of the Lake of the Ozarks CVB. 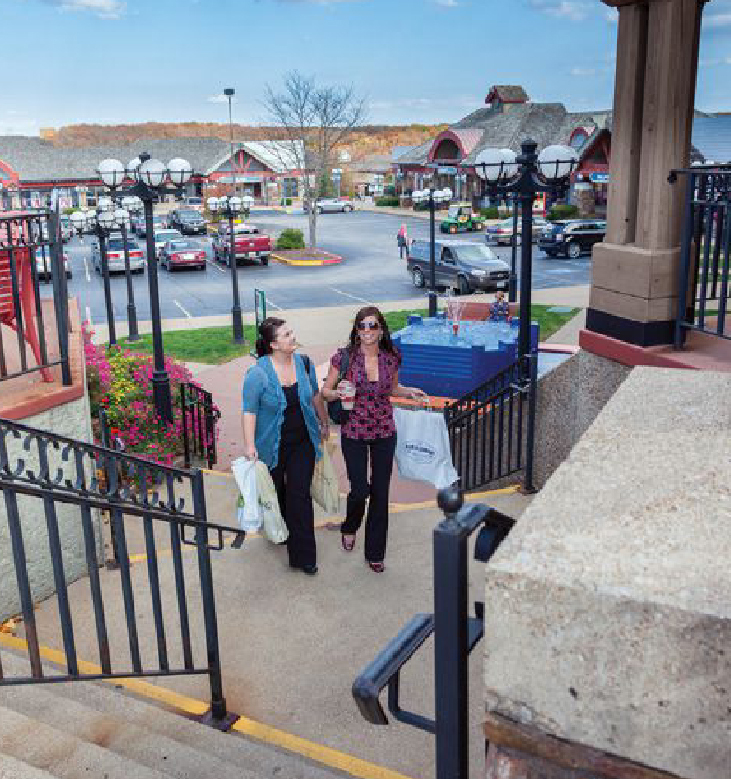 The Lake of the Ozarks Regional Economic Development Council has used a few creative finance options, one of which enables cities to recoup some of the building costs and attract businesses to areas like the Shoppes at Eagles’ Landing. Part of that financial strategy includes a 1 percent tax that is used to repay certain debts and fund future development. Entities at the county level are starting to consider options like these for unused or underutilized areas of land outside of the city limits. These measures have also been a part of the construction of Buffalo Wild Wings, CVS Pharmacy, Kohl’s, Menards, and Warrenburg Theatres; the theater was completed in 2013 with state-of-the art 3D digital auditoriums. The area’s central location has not only made it a leisure destination but also a thoroughfare for commerce. Co-Mo Electric Cooperative is installing fiber optic gigabit internet to every home and business in Sunrise Beach and lower parts of the west side of the lake, says ten Bensel, manager of the cooperative’s Sunrise Beach location. In addition to transporting digital commodities, there are also the physical roadways, like the $150 million seven-mile expressway that extends from Lake Ozark to Camdenton. Jacobsen says that the expressway opened up an east-west corridor for a few entities that need uncongested traffic ways for speedy deliveries, such as Dot Foods and mail carriers. Increased traffic from businesses and visitors has spurred the need for roadway projects. Even manufacturing is connected to the booming tourism industry. Conference hotels and resorts have also found a home at the Lake. Towne Harbour, one of the newest proposed developments, would use the area’s financial incentives to develop the vacant Kalfran Lodge property in Osage Beach into a 164,000-square-foot waterfront entertainment and resort area. The area has had its struggles, too. Inclement weather can keep potential tourists at bay. The area also lacks a major airport, though Jacobsen says he has seen an increase in the number of visitors who fly in to the Springfield and Columbia airports and drive to the lake. Still, new businesses are opening at the Lake of the Ozarks, and its communities are building upon their statuses as vacation destinations. More people are staying longer than a weekend and now call the area home—and that’s promising for the future.